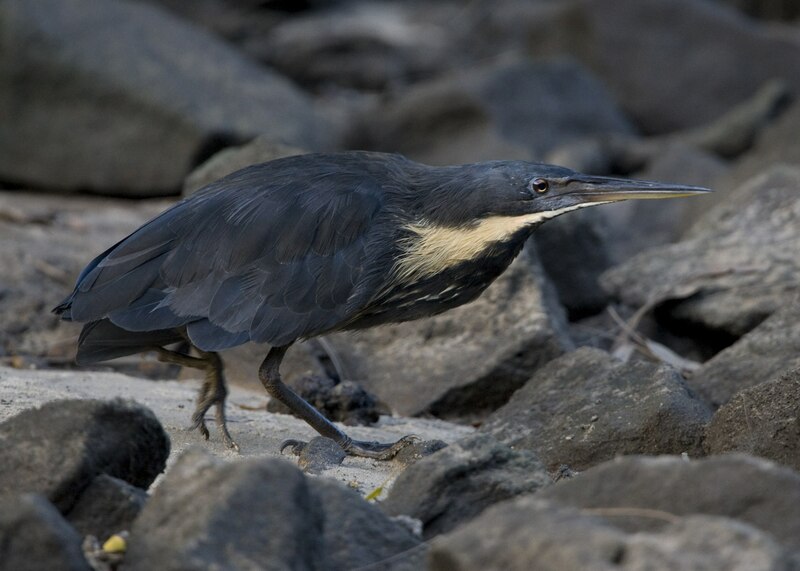 The black bittern (Ixobrychus flavicollis) is a bittern of Old World origin, breeding in tropical Asia from Bangladesh, Pakistan, India, and Sri Lanka east to China, Indonesia, and Australia. It is mainly resident, but some northern birds migrate short distances. This is a fairly large species at 58 cm (23 in) in length, being by some margin the largest bittern in the Ixobrychus genus. Compared to related species, it has a longish neck and long yellow bill. The adult is uniformly black above, with yellow neck sides. It is whitish below, heavily streaked with brown. The juvenile is like the adult, but dark brown rather than black.